Every Easter we purchase the same spiral ham from Sam's and pretty much prepare it the same way. Last year we tried a county ham, which I thought was too salty, my husband on the other hand liked it, This year we decided to try something different to see if we could come to a compromise. Using a recipe from the April 10, Charleston (WV) Sunday Gazette-Mail, I prepared Apricot-Peach and Gingersnap-Crusted Baked Ham. 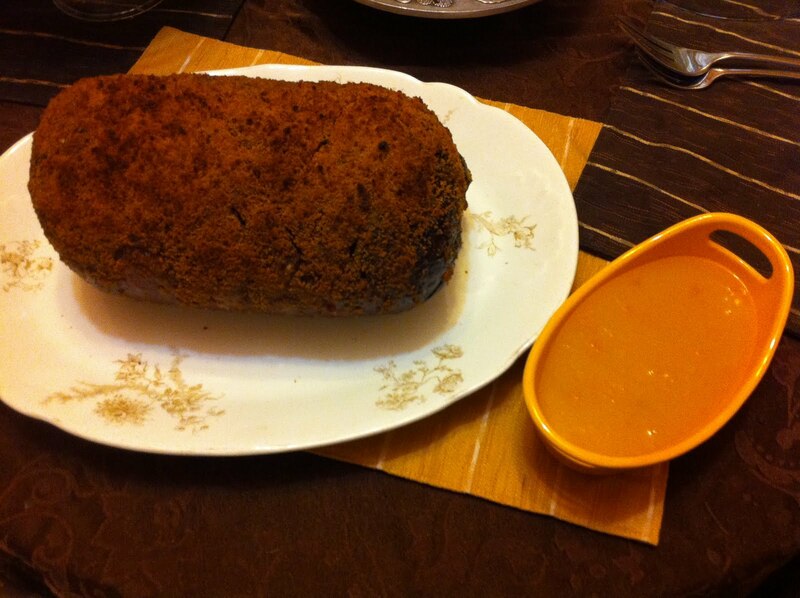 This recipe was fairly simple to make. I did have to substitute the apricot-peach jam, to half apricot and half peach jam respectively, Additionally, the 8 pound boneless ham that I was able to find was not a traditional spiral cut. This recipe turned out okay; not great, not bad. The pan sauce was the best part of the dish and compensated for the ham that was less than stellar in terms of quality. My husband thought the skin was tough and I thought the ham was salty. This was a fun recipe to try for a change, but I think next time I would make the pan sauce and use something else to bast the ham. 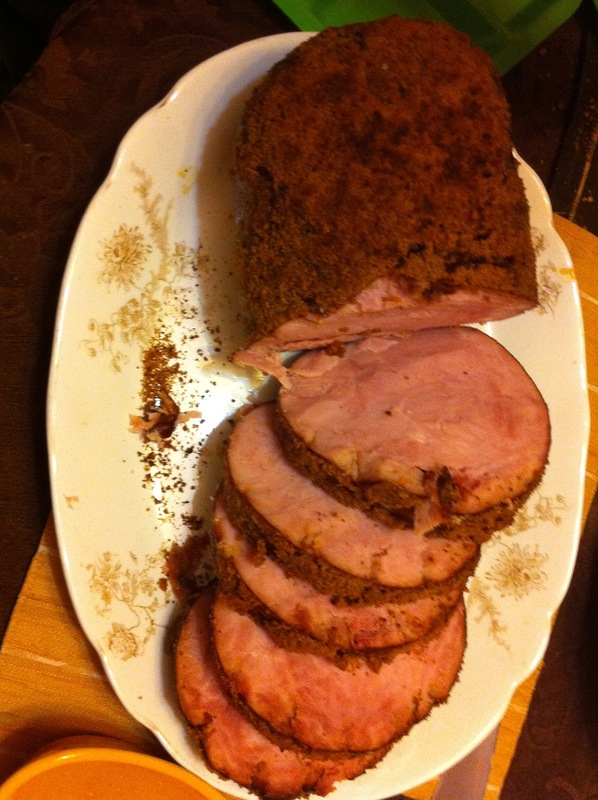 I was unable to find a link to the recipe on the Charleston Sunday Gazette-Mail's website, but it can be found here Apricot-Peach and Gingersnap-Crusted Baked Ham. ok, love new recipes! Ima followin you too! Hi! Thanks for hopping by! I'm following you back! This looked so good! Wish the recipe would have been better for you.